You Are Here: Counsilman-Hunsaker > About Us > Biographies > Doug Cook, P.E. 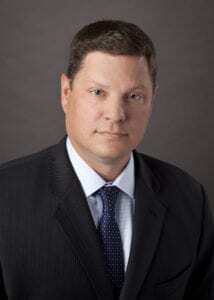 As Chairman of the Board, Doug is responsible for managing and monitoring the performance of the firm. He also leads multiple studios within Counsilman-Hunsaker that design and engineer aquatic facilities across the country and abroad. Doug’s most prominent portfolio projects include collegiate-level facilities. His work is seen at Stanford University, Ohio State University and The Georgia Institute of Technology. In addition to collegiate-level facility design, he has extensive experience in both K-12 and municipal recreation facilities. A graduate of the University of Iowa, he is a licensed civil engineer with professional registrations in 34 states. In addition, Doug holds an MBA from Saint Louis University and has earned accreditation as a LEED Professional. He is a notable speaker and published author of numerous articles in aquatic industry publications. Being a trusted source of aquatic facility knowledge has earned him a designation in the Aquatics International Power 25 group.